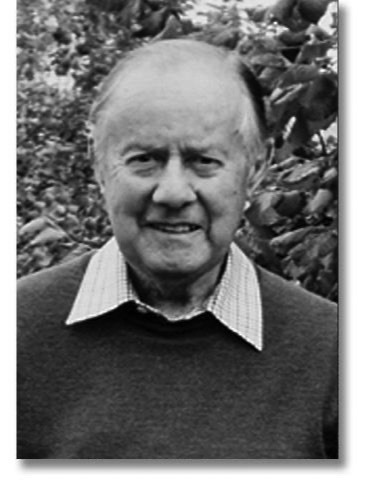 Derek was involved with salmon research from 1953, as a scientist, university teacher, consultant and administrator. He was in charge of the Salmon Research Laboratory at Contin under the direction of the Freshwater Fisheries Laboratory in Pitlochry for a number of years before being appointed a senior lecturer and fellow in the Institute of Ecology and Resource Management at the University of Edinburgh. During his thirty years at the University he held a number of extra-mural appointments. He served as consultant biologist to the Scottish Branch of the Salmon and Trout Association; fishery adviser to the North of Scotland Hydro-electric Board (and then Scottish Hydro-electric), he was fishery consultant to Central Scotland Water Board, Fife and Kinross Water Board and Grampian Regional Council. He set up the Scottish branch of the Institute of Fisheries Management and was its first chairman. He was also a committee member of the Tweed River Purification Board, the South-East Regional Board of the Nature Conservancy Council Scotland and Scottish Natural Heritage, the Scientific Advisory Committee of Scottish Natural Heritage and a trustee of the Tweed Foundation and Cromarty Firth Fisheries Trust. He was also a River Tweed Commissioner. Derek was on the honorary Scientific Advisory Panel of the Atlantic Salmon Trust for over thirty years and was its chairman for ten. His work as a fisheries consultant also took him south of the border and he was Consultant to the Welsh National Water Development Board and the Wye River Authority working on the proposed Craig Goch Reservoir Scheme. He was editor of Blackwell's journals Fisheries Management (1974 - 84) and Journal of Aquaculture and Fisheries Management (1985 - 93). He was also on the Editorial Board of Elsevier's journal Fisheries Research. Derek also wrote many interesting articles on fish and fishing in Waterlog. His 2014 book, Salmon in Trust, charted the history of the Atlantic Salmon Trust, its work and increasingly international influence in science and fisheries management. It provides an important overview of the history of salmon conservation. Derek died on Monday, January 29, 2018.